When the pirate operator Oliver Smedley shoots and kills his rival Reg Calvert in Smedley’s country cottage on June 21, 1966, it is a turning point in the careening career of the outlaw radio stations dotting the coastal waters of England. Situated on ships and offshore forts like Shivering Sands, these stations blasted away at the high-minded BBC’s broadcast monopoly with the new beats of the Stones and the Who and DJs like Screaming Lord Sutch. 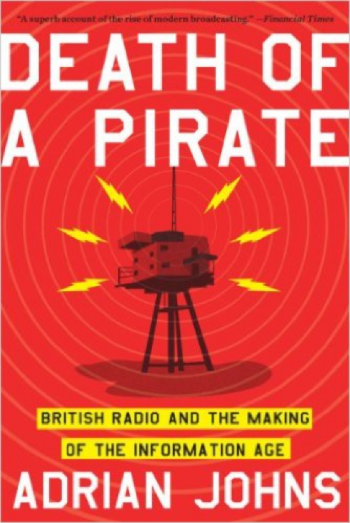 For free-market ideologues like Smedley, the pirate stations were entrepreneurial efforts to undermine the growing British welfare state as embodied by the BBC. The worlds of high table and underground collide in a riveting story full of memorable characters like the Bondian Kitty Black, an intellectual femme fatale who becomes Smedley’s co-conspirator, and the notorious Kray twins, brazenly violent operators of a London protection racket. Here is a rousing entertainment with an intellectual edge.